A Tribute to Duane T McRuer. Duane T. McRuer, an entrepreneur, educator and engineer was instrumental in the development of modern aircraft flight control technology and the understanding of how people control vehicles and other systems. McRuer was born October 25, 1925 in Bakersfield, California. He died of prostate cancer January 24, 2007 at his home in Manhattan Beach, California. He was 81. Notes from his colleagues at Systems Technology Inc. Rapid advancement in the design of aircraft following World War II called for major new developments in aircraft flight control system technology. After serving in the Navy and upon graduation from the California Institute of Technology, McRuer joined Northrop Aircraft and quickly became the Technical Chief of Flight Control. He spearheaded many flight control developments on such aircraft as the Northrop flying wings and the F-89 fighter, a mainstay of the Korean War. Larger, higher performance aircraft required hydraulic powered control systems. Getting these to work right proved difficult, early versions would bang stop-to-stop. Understanding the phenomena, and its describing mathematics, and thereby making hydraulic aircraft control systems practical, was one of the early contributions of Duane McRuer. The theories he applied were well understood in academia, but McRuer’s work was one of their first practical applications in the aerospace industry and are now a standard part of engineering school curricula. He was also among the first to introduce artificial stability to an aircraft whereby the control surface movement in response to a sensed motion was not felt by the pilot. McRuer’s early success was just the start of a career that spanned more than fifty years. He continued to make significant contributions to both the theory and practical application of aircraft flight control systems. For example, all aircraft in flight undergo a natural swaying motion, colorfully named “Dutch roll,” like a Dutch skater on ice. This motion is exacerbated on aircraft such as commercial airliners with swept back wings, and is not only uncomfortable but leads to airsickness. McRuer recognized that reducing this motion puts an unreasonable workload on pilots, and he developed the automatic “sideslip stability augmenter” to do so. He holds four patents, including this device, related to flight control systems. While at Northrop, McRuer also took an active role in disseminating his ideas through a series of reference books underwritten by the Navy Bureau of Aeronautics. This work later evolved to become the widely used graduate-level text Aircraft Dynamics and Automatic Control co-authored with Dunstan Graham and Irving L. Ashkenas. Along with the book Analysis of Nonlinear Control Systems, written by McRuer and Graham, evolving technology was disseminated to a generation of engineers working in these fields and, no doubt, influenced the design of control systems in a wide range of vehicles. With Ashkenas and wife Betty, McRuer founded Systems Technology Inc. (STI) in 1957, located in Hawthorne, California. At STI, McRuer assembled the team that has continued research and development in aircraft dynamics and flight control. After the downturn in the aerospace industry as the Apollo program ended, McRuer and his team broadened their interests to many vehicle types including submarines, airships, cars, trucks, trailers, and tanks. The STI team specialized in the intersecting areas of dynamic systems and human behavior, known as manual control theory. Duane McRuer, affectionately known as “Mac,” had a rare ability to transform practical problems into mathematics and thereby not only provide solutions to these problems but add to the research literature. A prominent contribution by McRuer circa 1970 was mathematical models of pilots and drivers, which he called “human operators.” The fundamental principle is the simple but powerful “Crossover Model,” also known as “McRuer’s Law.” The principle predicts how people use feedback, and has led to the design of vehicles with improved performance while at the same time being safer and easier to operate. McRuer’s Law applies to all vehicles controlled by humans, undersea, on the sea, on the land, in the air and outside the atmosphere. Application has led to improved understanding of how drivers control automobiles which has had great benefit in highway safety. McRuer’s Law, being fundamental, will always be applicable. McRuer was a mentor for many engineers and researchers working on a variety of aircraft and manual control problems. These included his pioneering work in the phenomena of Pilot Induced Oscillations (PIO) in which a pilot’s efforts to control an aircraft can drive the overall man-machine system unstable. The PIO phenomenon underlies the suspense in the Michael Crichton book “Airframe.” Many aircraft, including the Space Shuttle and commercial airliners, have encountered PIO phenomena in development and operation. 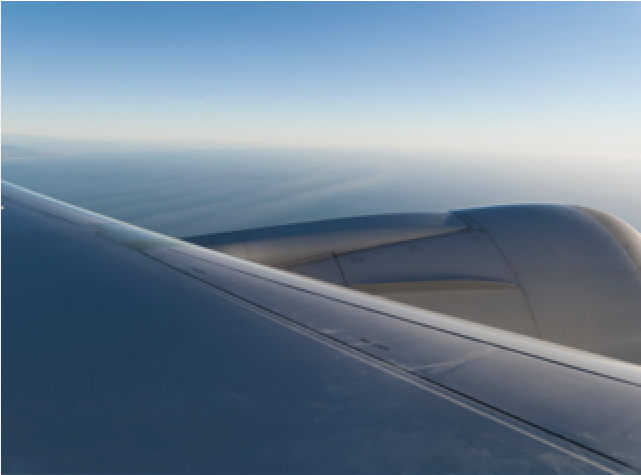 McRuer led a National Research Council Committee study on this phenomena that provided recommendations to the manufacturers, airlines and regulatory agencies on improving aircraft safety. McRuer served as an adviser to Government agencies and large corporations. He advised NASA on the readiness of the flight control system of the Space Shuttle for its first flight. He was elected a Fellow of the Institute for Electrical and Electronic Engineers in 1967, a Fellow of the American Institute of Aeronautics and Astronautics in 1973 (Honorary Fellow in 2002), a Fellow of the Society of Automotive Engineers in 1977 and also for several other professional societies. He served on the Aeronautics Advisory Committee of the NASA Advisory Council and made recommendations for redesign of the space station. He was elected a member of the National Academy of Engineering in 1988. McRuer retired as President of STI in 1993 and remained Chairman of the Board. He continued being active in industry and education, including his long involvement with the Society of Automotive Engineers Aerospace Control and Guidance Committee. He served as the Jerome Clarke Hunsaker Professor of Aeronautical Engineering at the Massachusetts Institute of Technology in 1992-3. Duane McRuer was born 1925 in Bakersfield, California and served in the Navy during World War II as a Lieutenant (j.g.) developing anti-submarine techniques. He attended the California Institute of Technology, graduating with a Master of Science in Electrical Engineering in 1948. He was given a CalTech Distinguished Alumnus Award in 1983. McRuer is survived by Betty, his wife of 50 years; a daughter Lara of Prescott, Arizona; a son Steve of Yorba Linda, CA; 3 grandchildren and 7 great grandchildren. Notes from his friends at the Sierra Club. Besides his many engineering accomplishments, McRuer was an avid mountaineer and contributor to the Angeles Chapter of the Sierra Club, which he joined in 1962. He was instrumental in creating the Leadership Training Program that serves as the model for the entire Sierra Club and wrote and then edited several versions of the Leadership Reference Book (LRB). McRuer met the demand from the Angeles Chapter for leadership standards, certifications, and training. Duane conceived the training system, wrote much of the LRB, organized and ran many of the snow, rock, and navigation practices and checkouts and, importantly, set the whole structure off on its own power, tapping various people on the shoulder, urging their involvement, encouraging their efforts. He served as the Chair of the Sierra Peaks Section of the Club in 1976 and continued to be an active climber and mentor. He climbed all of the 297 mountains contained on the Sierra Club Sierra Peaks List by 1985, and by 1997 had visited or climbed the high point in all fifty states, save one, Mount McKinley in Alaska. He also climbed all of the 97 mountains contained on the Sierra Club’s Desert Peaks list twice. He was awarded the National Sierra Club’s Oliver Kehrlein Award for Outings Leadership (1997) and the Sierra Club Angeles Chapter’s Lifelong Service Award (1998) among many other honors. Duane continued to climb peaks well into his eightieth year. His energy, endurance, and knowledge of geology made him a favorite and inspirational companion to all who accompanied him on the many hiking trails and climbing routes here in California and across the United States. By the 1970s, the Sierra Peaks Section (SPS) was sailing along, a well-organized bunch of “devil may care” peak baggers, one critic accused. Then came an ill-fated trip to Big Picacho and the demand from the Angeles Chapter for leadership standards, certifications, and training. In the same way, Mac for more than thirty years has quietly been suggesting recognition for our best leaders, hardest workers, and most conspicuous achievers. A short word from Mac at a committee meeting has lead to more than one Versteeg Award winner, for example. I met Mac in 1971 when Mac was still in his 40s and he likes to recall he still had some red hair. He was anything but a braggart, but it did seem like he knew everything, like nothing ever flustered him, and like he was some kind of Chairman of the Board, carrying himself with an inherent dignity. Within a few years, I realized that Mac does know everything, from geology to avionics, to all the kings of England and Scotland, to any science man has ventured into and, if prodded, he will talk for hours fluently on any of it. He claims he had a temper in his past, which was of some danger, given he was a boxer in his youth. He never is flustered (and some of us have given him good reason to have been); moreover, he is the Chairman of the Board, or was at least, going from a boy wonder engineer, creating the first flying wing for Jack Northrop, to founding his own aeronautics companies, the last of which for whom he still writes government proposals on projects ranging from a parachute simulator, to national highway projects, to futuristic hypersonic flight. In a different vein, Mac has consumed more foie gras, pickled herring, raw oysters, and sea urchins than I can fathom. He has suffered roughly a quarter-million headaches, some of them the true cluster type, and the majority of which required ice-to-head or S.U.V.-to-head treatment, without vocal complaint. If you meet Mac on a hike, he will unobtrusively be asking you about yourself; his real interests are people and their interests; I have seen him often suffer lightly some insufferable folk who have at times crossed his path. Mac did a lot of early trips with John Backus, gradually Bob Hicks became a close hiking buddy, and along with Bill Russell, they forged an almost 15 year tradition of “Older Boy Trips” where they got the various peaks they needed in the Sierra Nevada. Throughout the 1980s, Mac, Bob Hicks and I, frequently with Vi Grasso, formed a group, often private, often leading for the section, always reveling in each other’s company, gourmet goodies, and adult beverages. There was uniformly good humor involved, and openness to others, especially newcomers, on Mac’s part. Mac will be 80 years old and happily married for 50 years by the time we read this. Mac has always drawn strength from the real power behind his throne, Betty McRuer who, among other things, prepared a thousand backpack meals and twenty thousand backpack lunches, kept things in line at the office, and won lots of stuff at the thousand Sierra Club banquets that she has dutifully attended. Of their two children, daughter Lara has more readily taken to the mountains and covets the ongoing opportunity to hike with her dad in the mountains around Prescott where the McRuer’s have a summer home. Mac remains our number one doyen to my mind who, along with a treasured few others, have made fifty years of SPS possible.